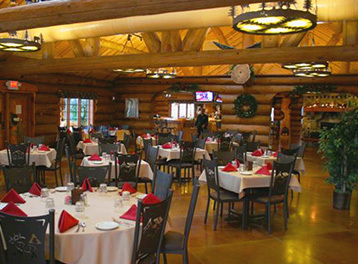 Log home restaurant and dining at its finest in Door County located on highway 42 in Egg Harbor, WI. Perfect for Business Meetings, Seminars, Christmas Parties, Birthday Parties, Fireplace Dining. Bring the whole family! Kids love to spot the carvings of bears, eagles, buffalo, and fish throughout the Den. 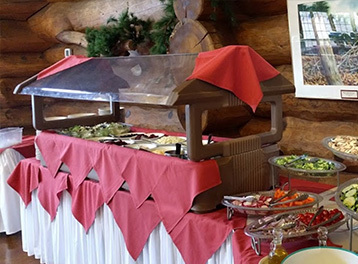 The Log Den features dishes that will tempt everyone. 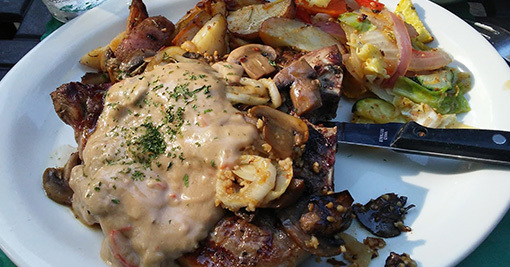 Our chefs offer all the Door County favorites as well as specialty steaks, seafood and special Cubbies menu for our younger diners. With seating for more than 60 people, our bar is the perfect place for happy hour. The lounge features four 42” TVs above the bar and a 62” TV in the lounge for your favorite sporting events. Green Bay Packer games do take precedence over other sports or teams, but we try to be accommodating to our less enlightened visitors. Banquets and special events are also welcome. 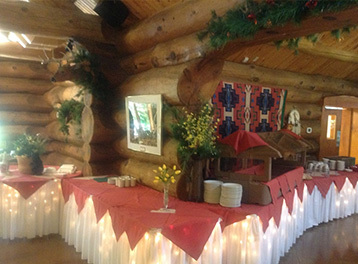 With seating for more than 300 people, The Log Den is perfect for any occasion. 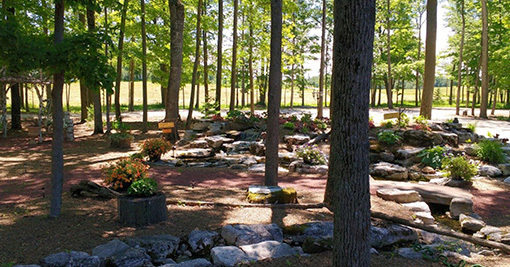 If you are interested in planning an event with us, please contact Kim Bell , our professional event planner. In the heart of Door County, just south of Egg Harbor, a wooded drive leads to the hand-carved masterpiece known as The Log Den. This meticulously detailed 10,000 square foot restaurant and lounge was designed and built by the Lautenbach family , locals of the Egg Harbor township for five generations. With an atmosphere like no other, an eager to serve staff, and a savory menu, we encourage you to drop by for what is sure to be a one-of-a-kind Door County experience.